I wish everyone a A Very Happy Deepavali that's blessed with tons of love,happiness,good health,wealth and prosperity on this day and always. Deepavali is a traditional and a colorful festival celebrated by all the Hindu worldwide which is also know as the Festival of Lights. Deepavali is celebrated in the month of Aipasi in the Hindu calendar. 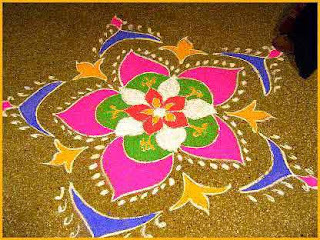 In every Hindu house,they ladies draw Kolam on the main entrance and new clothes are place infront of the alter smeared with sandal paste. There's an interesting legend behind the festival. A demon named Narakasurn ruled the kingdom of Pradoshapuram. Many suffered under his ruler and seeing the sufferings of the people and the evilness of the demon Lord Krishna destroy him. The died of the demon is celebrated as Deepavali. On Deepavali day Indian take oil bath and wear new clothes. The houses would be decorated with oil lamps and children will play with firecrackers to celebrate the festival. 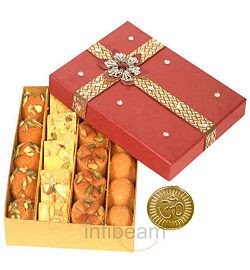 On this day tons of mouth-watering snacks and sweet are made during Deepavali Festival. I would like to share with u all some of yummy treats that I prepare for this year Deepavali .I would be posting them soon but here are snaps of the treats..
Murukku made from rice and besan flour. So let's get cooking..Try out these yummy treats from kitchen...Hope you would like them..there's various methods in preparation these but these are my version. 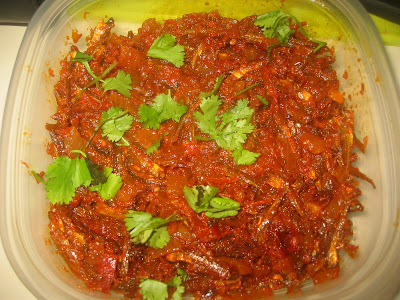 YOUR PRESENTATION IS EXCELLENT AND DISHES ARE MOUTH WATERING.